Is that the light at the end of the tunnel ?? That's a site that's been around for a few years and in case you didn't notice, the last K-5 entry is from 2010. Yeah, newest update is late 2010. To bad the project looks to have been abandoned. It looks like they were making some pretty good progress. 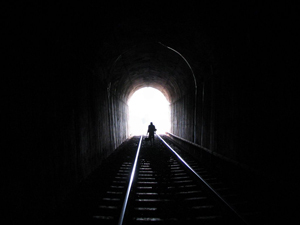 In my experience, the "light at the end of the tunnel" is almost always an oncoming train. "Good answer. Good answer. I like the way you think. I'm gonna be watching you."